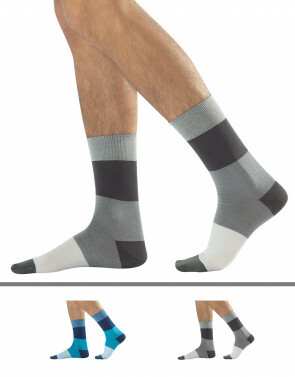 You can be both playful and elegant with these men patterned socks, thanks to the colourful joyful little argyle all around the leg which stand out on a classic grey dark background. The perfect combination of delicacy and style, these socks are the perfect hosiery accessory for a business suit or for a pair of jeans. 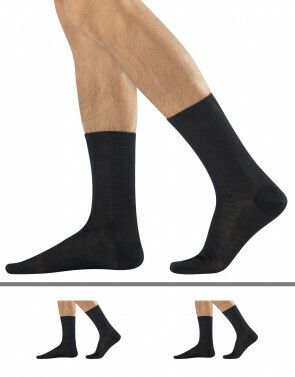 Made of selected high-quality cotton yarns, these socks are soft and stretchy, with a top band which keeps them in place without tightening the leg, and flat seams for an outstanding comfort. Feel and be out of the box with style with these argyle patterned socks, perfect with either with an elegant suit or with casual sport shoes.